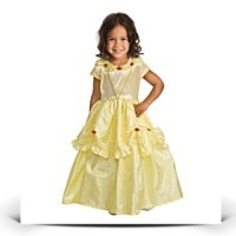 Any little girl will appear like the Belle of the Ball in this exquisite dress. Flower headband sold separately. 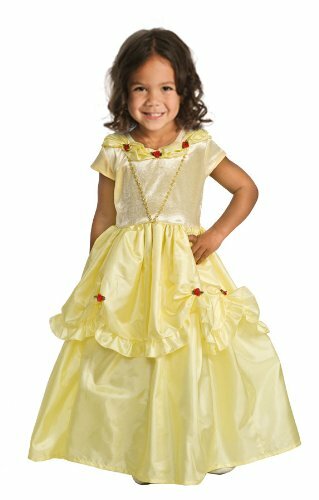 The bodice is developed of stretch crushed velvet to fit a quantity of sizes, and the china silk skirt is layered for that princess look. 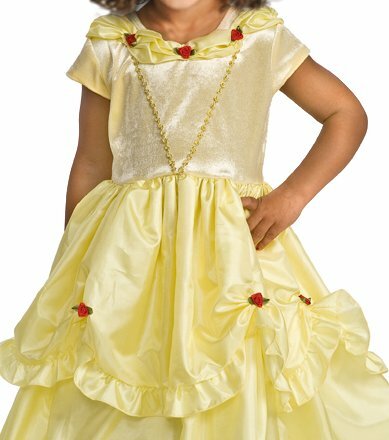 The yellow dress with red ribbon rose accents is a fairytale classic.